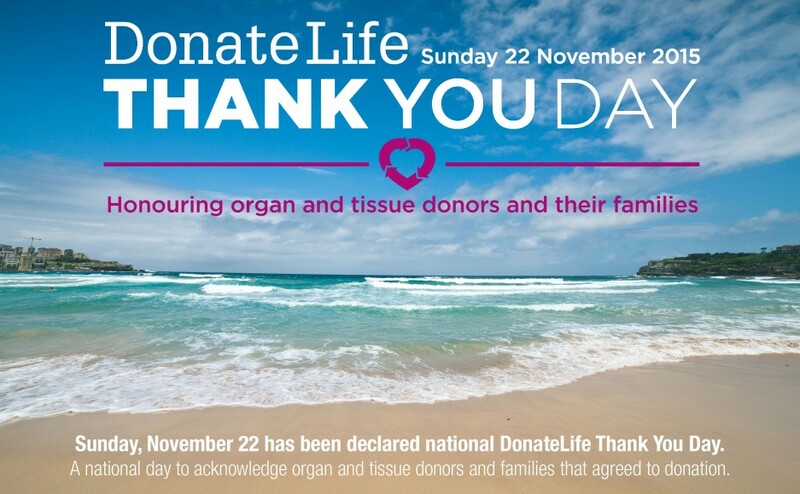 Donate Life Thank You Day is a national day to acknowledge organ and tissue donors and their families. Saving and transforming lives through organ and tissue donation is a vital community service that should be honoured. 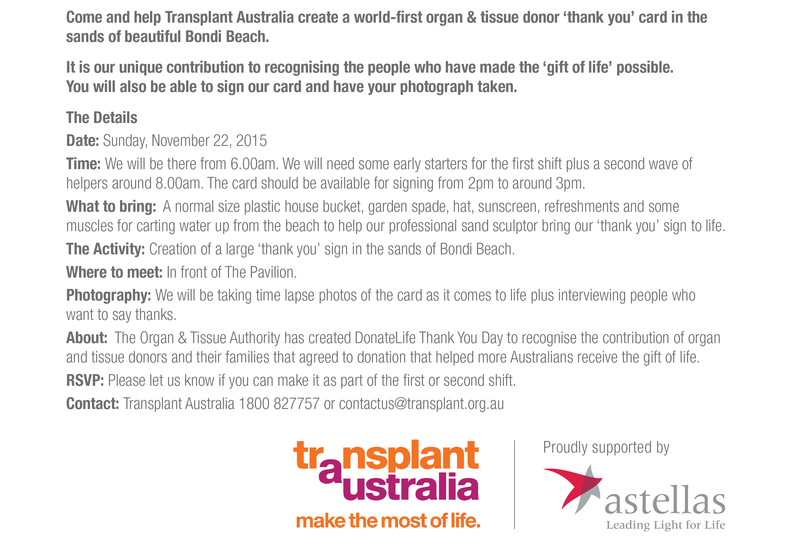 Transplant Australia’s tribute to Donate Life Thank You Day is happening on Bondi Beach, Sunday 22nd November, 2015 from 6am. We’d love you to join us in our special project of sculpting a giant Thank You card in the sand. We’ll be filming the construction and personal messages of thanks from everyone who’d like to get involved – to share on social media. So come on down, bring your family and join us in making a fun day of it. If you would like to help us to promote this event you can download our poster here. Learn more about Donate Life Thank you Day here. We look forward to seeing you bright and early on Sunday morning 22nd November at Bondi Beach.